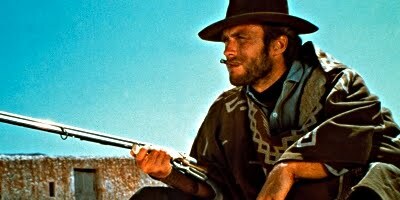 The second, and sometimes criminally overlooked, entry in Leone's Dollars trilogy is perhaps the director's finest work. Not only is it one of the best sequels in all of cinema, but it's also one of the most entertaining movies in existence. While Eastwood's Man with No Name character continues to be cool personified it's Lee Van Cleef, in his most memorable Western role as Col. Douglas Mortimer, who takes the word "cool" to a whole new level. Also of note in the cast is the film's villain El Indio, Gian Maria Volonté, who, with his band of equally sleazy and depraved deviants, stands as one of the creepiest characters in the genre. On a technical level, the film is superbly shot and contains some very well utilized Morricone music, clever visuals, some brilliantly staged action scenes and a very stylized opening credits sequence. Everything about the film is close to perfect, save for a ridiculous goof involving an auto-bus that can be seen outside of a train window! All in all, For a Few Dollars More is about the best the Spaghetti Western genre can get.